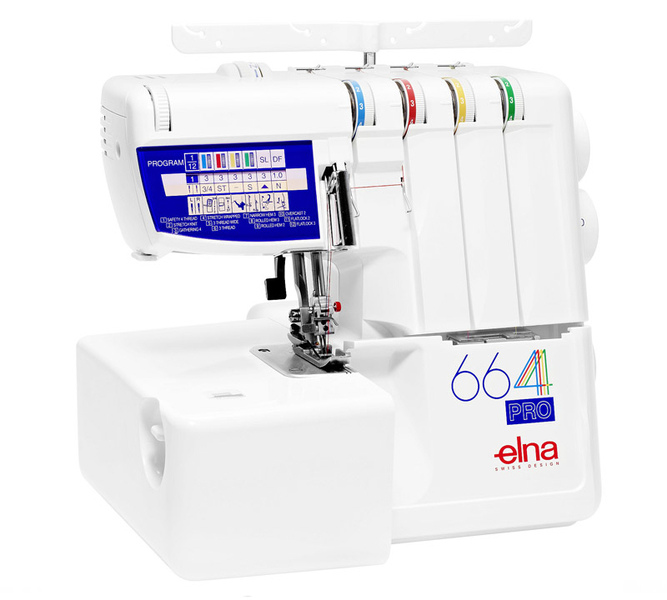 Hemming Skirts or sewing sheer to multiple layers of fabrics may seem difficult to you, NOT with the Elna 664PRO. 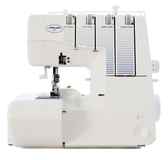 Which is built for 2-3-4 thread sewing on a variety of fabrics including sheers, stretch, cottons and jeans. 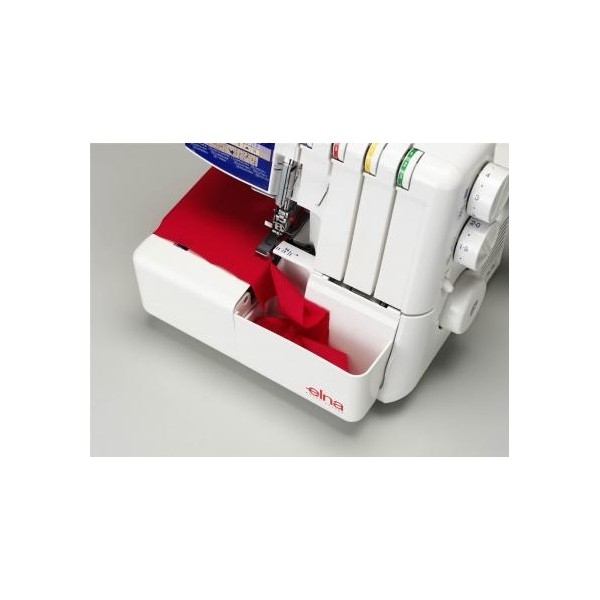 The presser foot lifter has an extra lift which helps to makes it simple to overlock thick layers of fabrics and quilts. 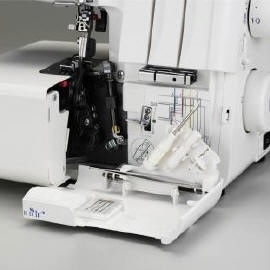 The three and four thread capabilities are ideal for seaming and overcasting, use the two thread stitch to finish light-weight fabrics. 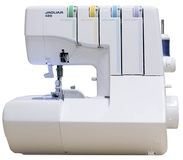 Collars and cuffs are easily catered for thanks to its slim free arm, and electronic speed control allows you to overlock at any speed with full needle piercing power. 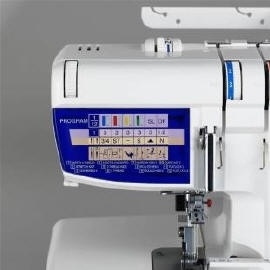 4, 3, 2 thread sewing – many options for utility and decorative sewing. 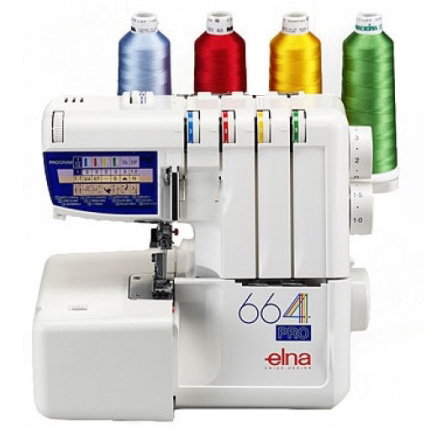 Trim, stitch, overcast and embellish projects in half the time. 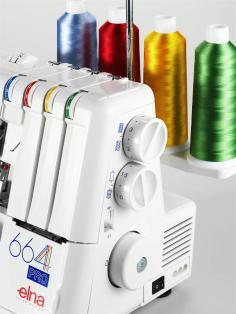 Lay-in tension and colour coded thread paths – for quick, convenient threading. 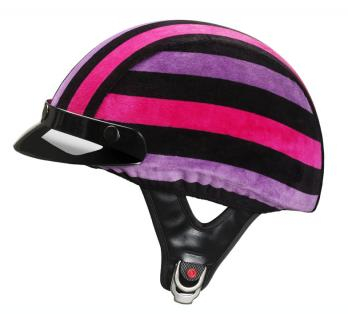 Differential feed – adjustable for perfectly even seams. No stretching of the seam or puckering of fine fabrics. 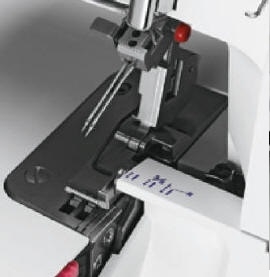 Universal Standard presser foot – can be used with all built-in stitches. 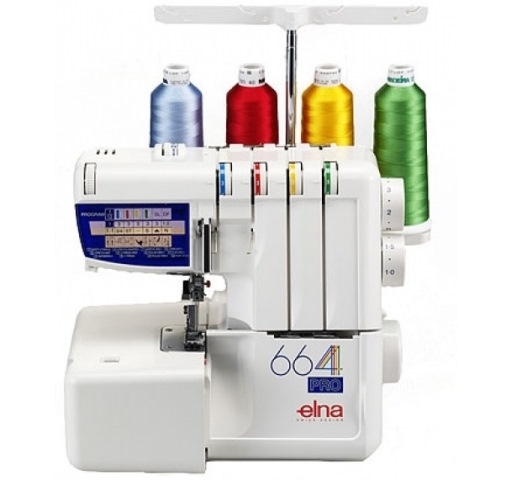 Electronic speed control – stitch-by-stitch control with full piercing power at all speeds. 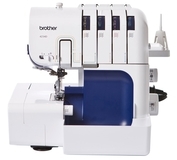 Sews 1,300 stitches per minute – sew faster, save time. 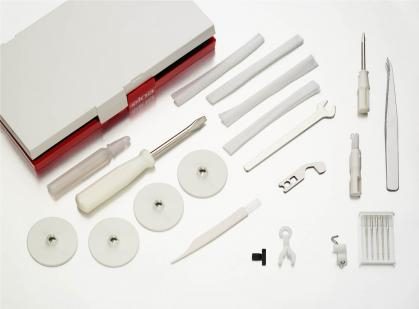 Moveable upper cutter – disengage the cutter for special techniques. 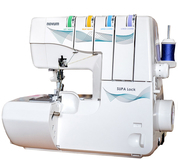 Super item, easy to thread, sews like a dream, great stitching and cutting. GUR were extremely helpful, profession and knowledgeable when help required, great comminication and fast delivery - everything you want from a quality supplier!! 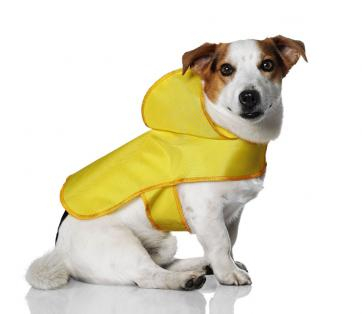 I have been looking on every website for this item I could find, either the staff didn't have a clue what they were talking about or they weren't interested. When I called gur products they were fantastic, answered all of my queries and were very friendly. The item arrived safely and I'm very happy and will be buying again from this company.